In our previous blogs we have discussed how to set up the payroll in QuickBooks and mistakes to avoid when invoicing. 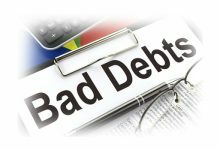 However, some businesses don’t require invoicing. What they do need is to know the right way to record daily sales. 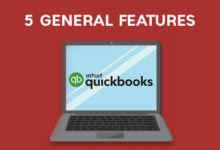 If you have read our blog where we discussed 4 beginner’s lessons in QuickBooks Online to avoid making a mess with your accounts, then you’re ready for this blog where we will take you to the next step – recording daily sales on QuickBooks Online (QBO). Recording daily sales does not mean recording each individual sale of the day. What you need to do instead is to enter one sales receipt with the total for all the sales of that day. The kinds of businesses that need to record daily sales are the ones that don’t do invoicing, e.g. restaurants, the beauty services industry, medical offices, and often e-commerce companies, too. With these businesses, there is a clear point of sale that is separate from QBO. Recording daily sales does not mean you record each individual sale in the day with a receipt. That may seem like the right way to do it but it is tedious and unnecessarily time-consuming. What you need to do instead is to enter one sales receipt with the total for all the sales income of that day. Step 1: Set up your accounts in the Chart of Accounts. Step 2: Set up the items under the Products & Services list. Enter the date of the sale under sales receipt date. Set up the payment method as daily sales. Under deposit to enter the daily sales account from the chart of accounts. Under sales enter the sales income (from your POSS daily sales report). Using the same report from your POSS, enter the sales tax. Enter the amount received from cards (VISA/Master Card/American Express etc.) respectively under VISA, MC or AMEX. Under checks enter each check separately, including the check number and name of customer. Under cash enter the amount received as cash payments. Save the data entered and close it. N.B. : As mentioned earlier, the total amount of the sales receipt must equal zero (i.e. total sales + sales tax = (the negative of) card payments + check payments + cash payments for that day. Once your funds are received under the undeposited fund category, you must update this in QBO so that your accounts match your bank statement.Under Bank Deposit, enter the payments received by your merchant service for VISA/MC/AMEX and the checks that have been deposited. The bank account where the funds were deposited (e.g. checking). The date the funds were received. Where they were received from and the payment method (i.e. Daily Sales). Under memo, the amount received for VISA/MC/AMEX or checks. Once you receive the funds in your bank account, check the little box next to the amount received either via VISA/MC/AMEX or checks. The total amount of the deposit must tally with the amount received in your bank account. If your merchant service deducts their fee from each transaction, you must note this in QBO. Under Received From enter Daily sales. Then choose merchant fee expense under Account, and enter the deduction as a negative value. Under Transaction > Banking, next to the deposit made, under Action, it will say Match if the amount downloaded from the bank statement tallies with the QBO entry. And that’s pretty much it! It may seem like a lot of information, but if you take a closer look at the 5 steps, they are pretty straightforward and easy to follow. 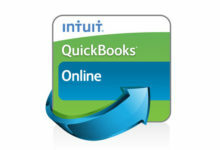 So get recording your daily sales on QuickBooks Online and some hassle-free accounting!